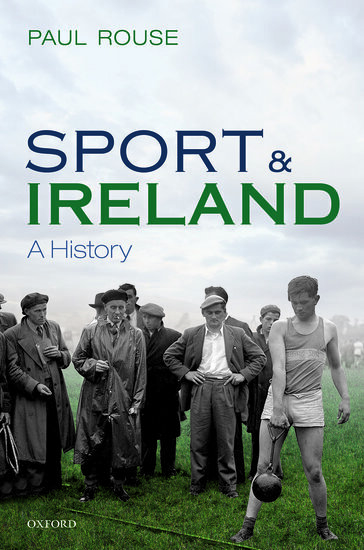 History has shaped modern Irish sport in ways that are many and complex. There are aspects of Ireland's sporting history that are uniquely Irish and are defined by the peculiarities of a small island on the edge of Europe, where life was lived in the shadow cast by the power and prestige of its nearest neigh­bour. What is equally apparent, however, is that the Irish sporting world is unique only in parts; there is much of the history of Irish sport that is a shared history with that of other societies, near and far. This is partly a reflection of the universal instincts that draw humans to the idea of play, partly a reflection of the history of Ireland within what was once the British Empire, and partly, also, a reflection of an international cultural exchange where political and geographic borders are permeable. The ambition of this book is to examine how the sporting world was forged between the Middle Ages and the new millennium. The evolution of Irish society—its politics, its culture, its economy—has moulded sport on the island century after century, and sport, too, has also influenced Ireland, perhaps in more profound ways than we acknowledge. Sport has been transformed over time, particularly over the past 150 years, and this volume seeks to explain this transformation. Modern sport is often big business and it often, too, has a political function. The manner in which sport is continuously repackaged—not least by modern media—creates the illusion of constant change. And yet, the story of Irish sport is, at least in part, the story of people finding new ways of doing the same thing. A primal passion for play underpins any understanding of the origins and development of the modern sporting world. The meaning of sport is to be found in its unrelenting capacity to seize the mind as well as the body. This simple truth goes a long way towards explaining the centrality and the ubiquity of sport in modern Ireland. The passage of this volume is guided by major themes that recur time and again. At the core is Ireland's relationship with Britain: the incomplete colon­ization of the twelfth century; the plantations of the sixteenth and seventeenth centuries; the creation of the United Kingdom of Great Britain and Ireland in 1800; the rise of Irish nationalism; and finally the establishment of an inde­pendent Irish state on a partitioned island in 1921 are the key moments in a relationship that has shaped life in Ireland. There is no denying that the sporting culture of Ireland contains large aspects that were imported—by whatever means—from Britain. This can be seen with hunting in the Middle Ages, through the formalization of horse racing in the seventeenth and eighteenth centuries, and on through the spread of modern ball games such as soccer and rugby in the nineteenth century. The timing of the nineteenth-century revolution in play was crucial; the British Empire was expanding its wealth and power at precisely the moment the modern sporting world was forged. The fact that Ireland was by then part of the United Kingdom helped ensure that nowhere were the games of Empire more rapidly and more fully adopted. Accordingly, this book examines how imperial culture was received in Ireland and how Ireland actively contributed to that culture. The manner in which Irish nationalists reacted against British sporting culture in the nineteenth century is, equally, central to this volume. Many Irish nationalists were entirely comfortable with the sports of Empire; they chose to play as they wished regardless of any association with Britishness; they did not consider their Irishness in any way compromised by their sporting affiliations. Others, though, afloat on ideas of cultural nationalism, saw in sport the possibilities of furthering the project of national liberation. In practical terms, this resulted in the establishment of a uniquely Irish sporting institution: the Gaelic Athletic Association (GAA). This institution promoted games described as Irish native games' and bathed them in ideas of Irishness. What ensued was a struggle for sporting supremacy between rival sporting organizations in the social, cultural, and political context of late nineteenth-century Ireland. This struggle was partly rhetorical. The GAA sought from the beginning to make Irish people choose between 'Irish laws' and 'English laws', between 'native' and 'foreigner'. This was a potent rhetorical flourish in the divided politics of Ireland. And such flourishes were important; the rhetoric of the Empire ascribed to sport a central role in its greatness and pushing back against this notion was considered crucial. That there was no way of proving claims that sport was the cornerstone of British imperial vitality was unim­portant beside the potency of imperial imagery. There was no denying that the forms of sporting organization that had spread to Ireland from Britain were wrapped in the flag of Empire. There was no denying, either, that among those most prominent in new sports such as rugby, lawn tennis, or soccer were men and women who were utterly loyal to the Empire. Ultimately, the rhetoric of politics was important in helping to create antagonisms in sport and sport, in turn, helped to perpetuate and indeed to foster divisions in wider Irish society. The relationship with Britain had other important impacts. Firstly, the amateurism of British Victorian sport was recreated in Ireland. This involved adopting the premises that sport should be a tool used in making someone a better person and that sport should be pursued for love and not for money. That there was elitism underpinning the apparent purity of this idealism was apparent, but more importantly, in Ireland ideas around amateurism were turned on their head. In the Gaelic mind, professionalism was associated with Englishness (focusing on soccer, all the while ignoring the amateurism of rugby and other sports), while GAA players were presented as being motivated by patriotism. In the short run, this helped ensure the amateurism of the GAA. In the long run, this amateurism was further determined by the county-based nature of its elite games; the basic units of the association were too small in population to sustain professionalism, the loyalties to those units were too deep to allow for restructuring, and there was no international outlet. Even when other sports that had stayed avowedly amateur for more than a century were forced to abandon amateurism as their sports became increasingly commer­cialized, the unique structure of the GAA made professionalism impossible.